Dirty faces, dirty minds, dirty bass lines. Kratom is much less dangerous than even sugar. Its addictive but extremely hard to OD on. The article even said that only 7 of the overdoses were from kratom alone. Loo0k at the yearly death count from basically any other substance or prescription medicine and kratom will be at the bottom. This smear campaign is ridiculous. Kratom is literally saving lives. People are so much safer taking it than real opioids. As long as you dont use it in crazy drug combos their shouldnt ever be a problem with overdosing. I mean I take 40g+ in one dose of tea usually and im completely fine. Never felt like I was close to death. 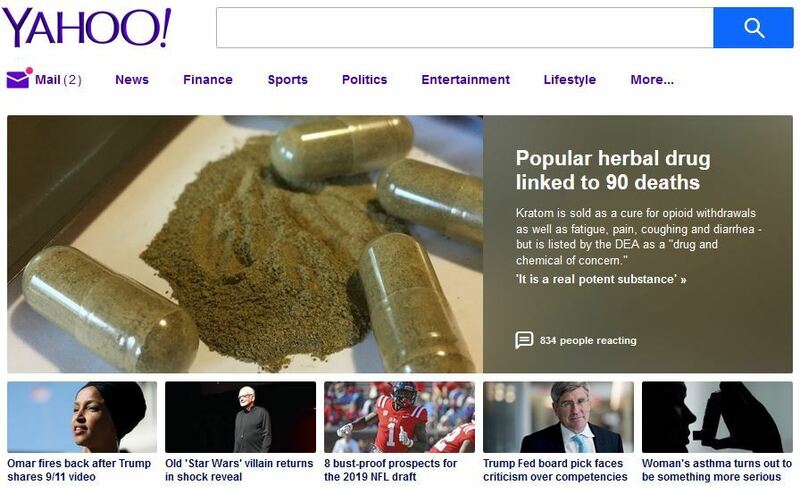 That said i dont believe kratom ahould be banned, but it sure does need to be grown and processed under better conditions so theres no lead or salmonella for the media to report. And more importantly, so no one gets hurt. The way i see it, theres so little oversight. Some of these vendors prolly figure its going to dope users just to get high so "who cares"
"Most who died had also taken heroin, fentanyl or other drugs. But kratom was the only substance detected in seven of the deaths." Almost EVERY SINGLE OD is from polydrug use. Or involves extraneous factors that don't apply to the average kratom user, it's almost like, but worse than, saying aspirin is a deadly drug because of Reye's syndrome. The only way kratom comes close to dangerous is with shady extracts. I wish they would just go ahead and ban extracts, before whole leaf gets taken down with them. Even of those 7 it's hard to say if kratom is directly responsible, people have health complications all the time and it's very possible that it just happened while kratom was in their system. Of all the "kratom deaths" I've seen the coroner has yet to find any real cause of death aside from "kratom/mitragynine toxicity" or some BS. From studies I've read, the active ingredient of kratom, Mitirygine or whatever, has a similar LD50 as morphine or heroin, however, in leaf form you could never get that much in you. If you can find an LD50 for mitragynine or any of the other alkaloids I'd be interested in seeing them. Been awhile since I did much research but the most I remember finding was the mg/kg per blood in rats for toxicity testing. So not sure how we'd get an accurate LD50 for humans, assuming there is one out there. So the LD50 of injected mitragynine is comparable to heroin in mice, but notice what it says about oral use. There was no oral LD50 found for 7hydroxy mytragynine, and the LD50 for mitragynine was 20x higher then when injected. And most people aren't going to be injecting kratom extracts. Oh yea this is the study I looked at, your right I didn't think about that. Yeah there seem like a lot of other more likely possibilities, such as diet and overall health. Throwing up is from too much kratom is common, blood and bile not so much. 885 topic views. 0 members, 7 guests and 0 web crawlers are browsing this forum. Generated in 0.059 seconds spending 0.004 seconds on 16 queries.